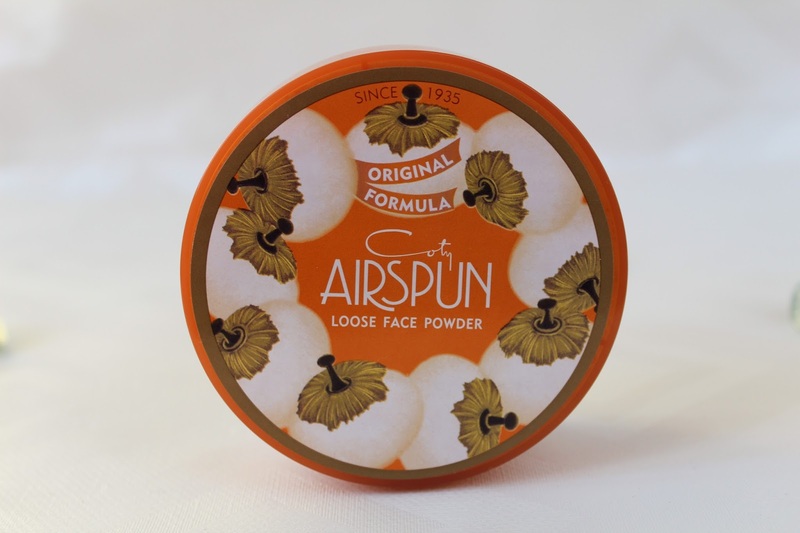 I am definitely no stranger to the Coty Airspun loose powder, I learned of this product through YouTubers as well as Beauty Bloggers, there just seems to be something about this powder that everyone loves. 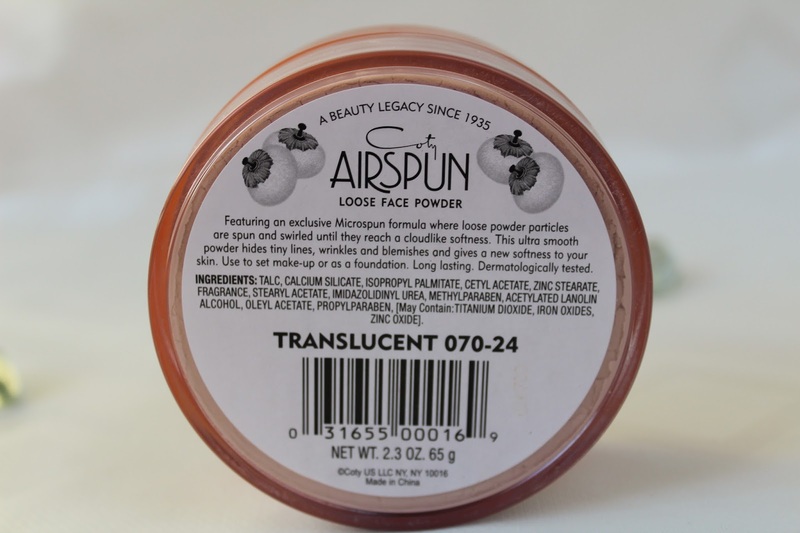 This powder has been around since 1935, which is a hell of a long time, especially since how far makeup has come since then and how many other great makeup companies have brought out so many good face powders. So, if this powder has managed to stick around through all of that, it must be good! After a lot of humming and harring I decided that I was going to try this out. I have been using this for around 2 months now and I can say for myself that the hype is definitely real, I don't think it's an accident that this baby has been around for a long time! Coty say that the formula of this product has not changed since the 1930's, apart from the packaging. According to them, the powder is milled until it get to a super soft texture, thus allowing it to give a more even finish, a lovely soft look and also conceal any lines. This setting powder also sits really nice with any other of my face powders, e.g bronzer, contour and blush. 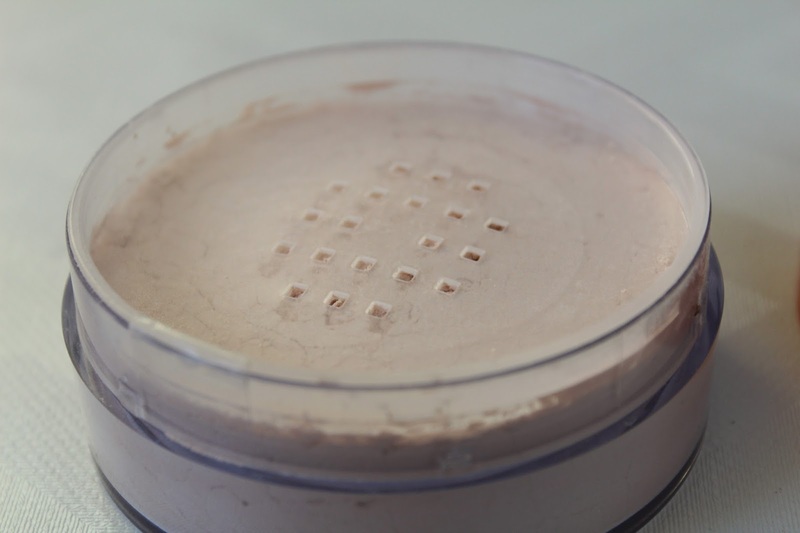 The Coty Airspun creates a smooth surface for your other powders to glide onto and your skin looks amazing afterwards! The Coty Airspun packaging says "Featuring an exclusing microspun formula where loose powder particles are spun and swirled until they reach a cloud like softness. This ultra smooth powder hides tiny lines, wrinkles and blemishes, and gives a new softness to your skin. Use to set make-up or as a foundation. Long lasting. Dermatologically tested." There is only one thing I would say that some people might not like and that is the fact that there is quite a strong fragrance to this powder. 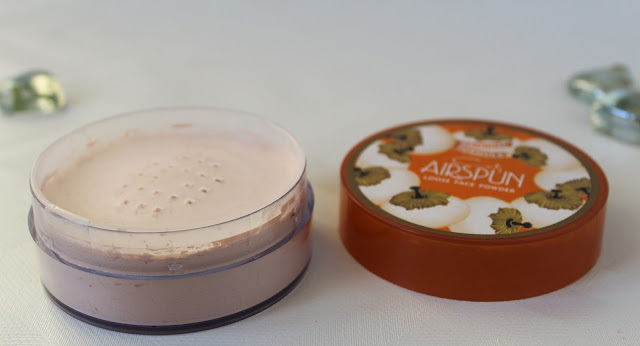 I don't think that there is any added fragrance but it is quite a strong smell, so if you are sensitive to strong smells or just don't like them then you might not like this powder. I'm not sure if there is a fragrance free version of this, but I haven't had any problems with it and actually quite like the smell. The powder has a really smooth, soft and quite delicate texture, it feels just like Talc and this type of powder has the softest texture of all. When a powder is this fine, it glides on smoother and works a lot better with foundation, giving it a longer lasting coverage. The powder sets everything a lot more evenly and diffuses and reflects the light better. For an even and airbrushed look, I would recommend that you apply the loose powder with a soft powder brush. Get quite a good amount loaded onto a brush (Real Techniques Powder Brush is brilliant for this) and concentrate patting this into your most oily areas first and then the rest of your face. This powder does come with a powder puff but that might not work for everyone. When I first started using this powder, I did try the powder puff. However, the puff just didn't work for me and I found that it didn't apply the powder how I wanted it too. The puff can also start to get cakey, it would however, be good for just travel use or for blotting. Coty Airspun comes in around 3 of 4 powder shades. For the Translucent one there are two types: regular Translucent and Translucent extra coverage. A lot of beauty gurus love the latter because it adds a little bit more coverage to improve the look and coverage of any base makeup. Another great thing about this powder is that it feels really soft on the skin and it doesn't have that dry, chalky texture that most translucent powders can give. Regarding the staying power, it does not specifically say that it controls oil, but I found that it kept me matte all day long, I didn't even have to blot my skin. I would say that I don't have really oily skin in general but after a long day of full face of makeup, I tend to get oily around my nose area, however, this powder kept that at bay all day. It can keep the look of my base looking fresh and vibrant all day. I love this powder so much and could not recommend it more. I have been using it everyday and it has replaced my trusty Rimmel Stay Matte powder. I definitely will be purchasing a back up of this even though there is a lot of product (65g)! I do live in the UK and haven't seen this in any stores, so I purchased mine on Amazon for around £11-£12. You can pick it up here. Have you tried this powder or have any questions about it? Leave me a comment down below.